When the summer season rolls around, there is one fruit that grows in the hearts and minds of the people of Ruston. From peach cobbler to the local favorite peach ice cream, Ruston just can’t get enough of this sweet, handpicked treasure. That’s why every year they celebrate the Louisiana Peach Festival. This year will mark the 68th annual festival held from June 22- 23. 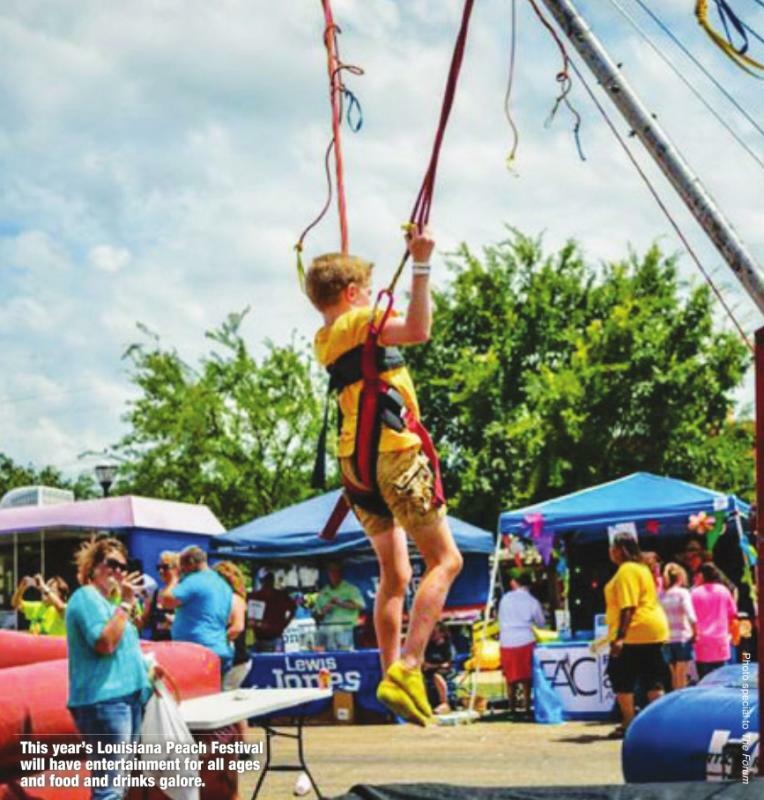 Festival events will take place in various locations around Ruston. Cathi Cox-Boniol, immediate past chair of the Ruston-Lincoln Chamber of Commerce, says she remembers going to the Peach Festival in Ruston as a child. It is a tradition that she looks forward to each year, which is why she and her husband enjoy volunteering their time to help with the event. While the festival is sponsored by the Ruston-Lincoln Chamber of Commerce, they also get help from Gumbeaux Productions in Shreveport to make sure things run smoothly. Cox-Boniol also credits the volunteers for all of their support. This year’s festival will feature a battle of the bands event called “Louisiana Peachstock.” It is scheduled for June 23 from 11 a.m. until 2 p.m. During this event, five bands will compete for the grand prize of $1,000. The lineup includes a wide variety of genres including country, rock, funk, R&B, jazz and soul. Another fun event is the “Cobbler Gobbler” eating contest. Ten contestants will set out to prove who can eat peach cobbler the fastest. Hampton Inn will sponsor the event. Not only will the winner receive an official Cobbler Eating Championship Belt, but they’ll also get $1,000. The Peach Festival is a great way to celebrate this farming community’s history with family-friendly activities that everyone can enjoy. 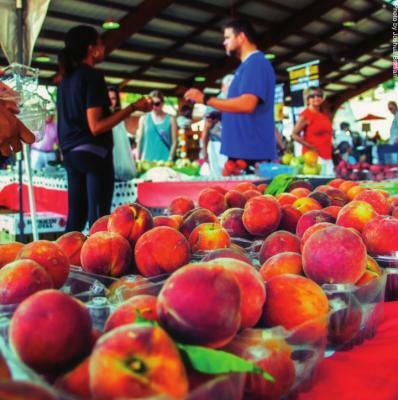 The festival first originated as a way to celebrate their fruitful crops of peaches. Now it has become a tradition that people love. As someone who has lived in Ruston since she was young, Cox-Boniol has seen the festival grow in size. She says she is absolutely overwhelmed with how big the event has gotten. It is something that has become a staple in Ruston. “Peachy Paradise” is the theme that was voted on for this year’s festival. Cox-Boniol came up with it herself. She loves that they are able to use Facebook for people to submit and vote on theme ideas. It’s also a great way for citizens to provide feedback. In addition to using social media, the festival has decided to update the technology they use. Cox-Boniol says Ruston is always looking to grow. Overall, she hopes that everyone can make it out to Ruston for delicious food, family fun and a generous helping of peach ice cream. For ticket info and festival event listings with locations, visit www.louisianapeachfestival. org.